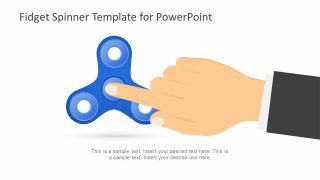 The Fidget Spinner PowerPoint Template is a collection of custom design graphics of trending toy shapes. 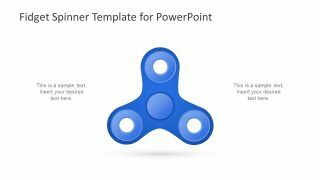 This is modern design PowerPoint of unique toy figure which is known as fidget spinner. This small tool has been trending worldwide for assisting a person to focus. This also involves the therapeutic purposes like relaxing and relieving psychological stress. Moreover, the tool helps the people who suffer from anxiety as aid for calming nerves. 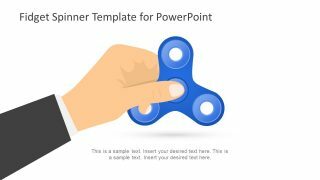 Hence, the template of fidget spinner is helpful in presenting the benefits and its healthcare uses. The shapes for PowerPoint in the template are usable for several ideas. For example, the 3 step model, cyclic and repetitive processes and explaining categories. 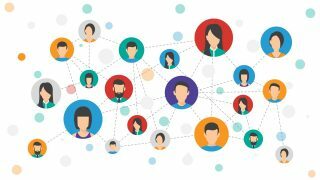 Further, the PowerPoint slides can also depict the casual environment through the illustration of toy. This can assist in creating a relaxing and attentive environment for audience while demonstrating the main topic. 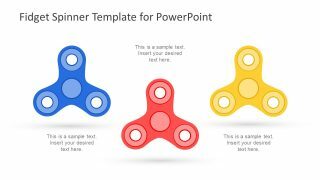 The cool slides of Fidget Spinner PowerPoint Template consist of three colorful toy shapes. Further, the two slides present the illustration of person holding and spinning the fidget. The flat vector clipart design of a toy shows a ball bearing in the center with three-round lobes. This presentation is an effective set of slides to use for educational purposes. This is because the new generation displays a lot of interesting in the trending fidget spinners. 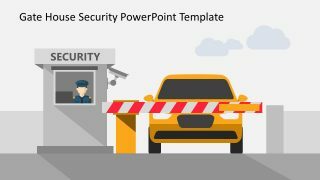 Therefore, the teachers can use these shapes of PowerPoint to receive maximum attention from their students. Although the fidget spinner is an interesting, not to mention a latest PowerPoint template design. 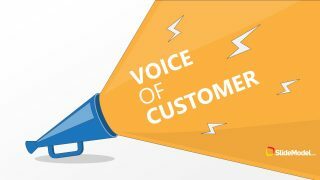 It is also an editable 4-slide presentation which enables users to make number of customizations. For instance, change the color or outline of Spinner, its center of lobes. Similarly, select and alter the colors and size of hand clipart and the fidget spinners. 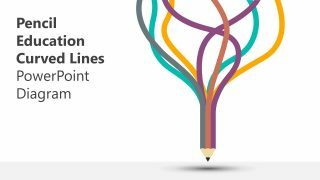 These slides are an incredible set of shapes template to reuse in range of presentation by relating them topics.